The Hennessey Venom F5 is the next-generation of the familiar Texas tuning shop’s wildly powerful Venom hypercar. The Venom F5 is set to be better than the last Venom is just about every way. It will be more powerful, faster and will feature more of its own unique parts thanks to a purpose-built steel tube frame chassis, carbon fiber body panels and a Hennessey built and developed twin-turbocharged V8 engine. Hennessey predicts the F5 will accelerate from 0-186 mph in 10 seconds and hit 249 mph in under 20 seconds. It’s also aiming for a top speed of 301 mph – a lofty prediction it hopes to one day put to the test. Such a serious car require a a serious development driver. For that, Hennessey turned to John Heinricy. 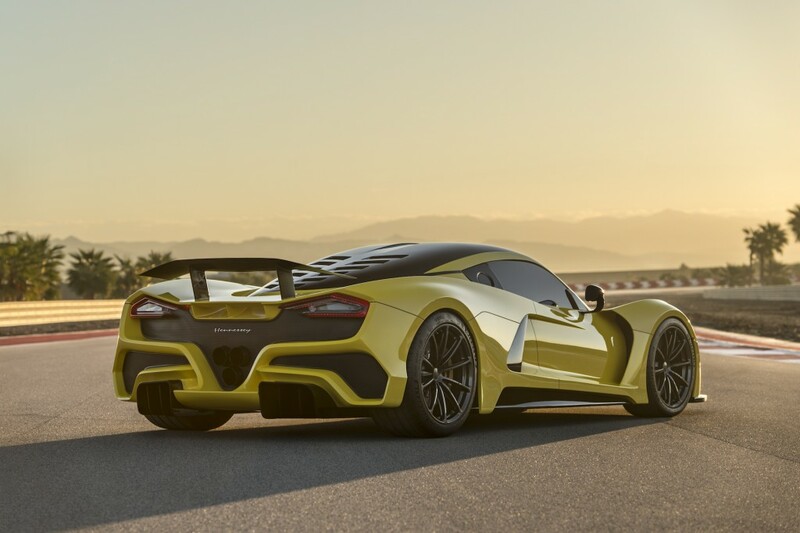 The former General Motors development engineer and hotshoe has been working with Hennessey in a development role for a few years now, but his role became a bit more demanding with the start of the Venom F5 program. Heinricy worked with General Motors for just under 39 years, first joining the automaker in 1970. He did a training program shortly after joining that thrust him into the world of Can-Am racing, which got him more interested in motorsports in racing. He actually didn’t enter his first sanctioned motor race until he was 37, but he took to the sport easily, quickly racking up a ton of SCCA National Championship Runoffs wins. Heinricy was also the first person to dip below the 8 minute mark at the Nurburgring in a production four-door, lapping the infamous track in 7:59.32 in a 2009 Cadillac CTS-V.
Hennessey owner and founder John Hennessey recently caught up with Heinricy to introduce the company’s YouTube fans to the man that will be lending his expertise to the Venom F5 project. Listen to what Heinricy has to say about his career at GM and developing the new supercar in the video embedded above. Heinricy was also the first person to dip below the 7 minute mark at the Nurburgring in a production four-door, lapping the infamous track in 7:59.32 in a 2009 Cadillac CTS-V.
Something wrong with the above statement, should be less than 8 minute mark or time should be 6 minutes +?